Choosing outfits for a holiday is always tricky. Do I pack too much, and have spares, or do I pack the essentials, repeating the basics? Personally, I love packing for holidays and I get a thrill out of choosing outfits to wear in the evening. Perhaps I'm a little sad, but that's fine by me! 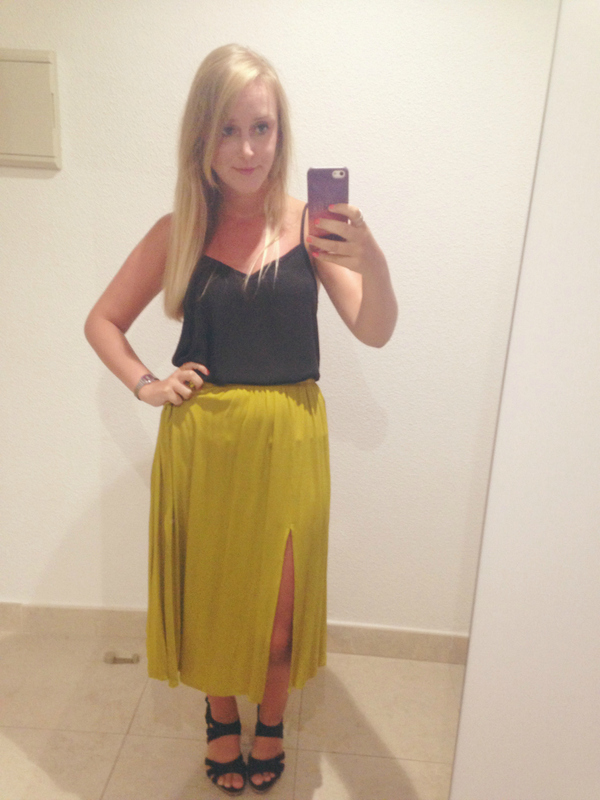 I managed to take 'mirror selfies' on my phone, whilst I was out in Gran Canaria, of all the outfits I wore in the evening for my own sad enjoyment and to share here. I hope this will inspire you if you're going on holiday soon or satisfy the nosy part of your brain. Enjoy! You can't beat a LWD (little white dress). It's all about wearing white when you have a tan! 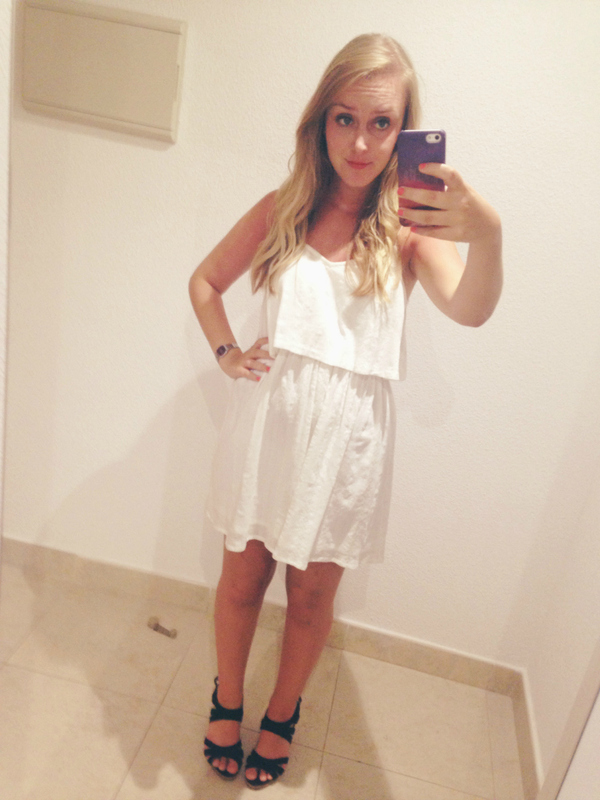 This particular dress was £10 from Topshop. Yep, just £10 which is pretty amazing for Topshop. As my holiday was in October I managed to buy a lot of summer clothes in the sale. This dress has a cut out back and a layering effect. The only downside is that I bought it when it was no longer summer in England, but I'm definitely going to get lots of wear out of it next year. This next outfit is probably my least favourite of the bunch. I love the top and the skirt separately but I'm not too sure I liked them together. 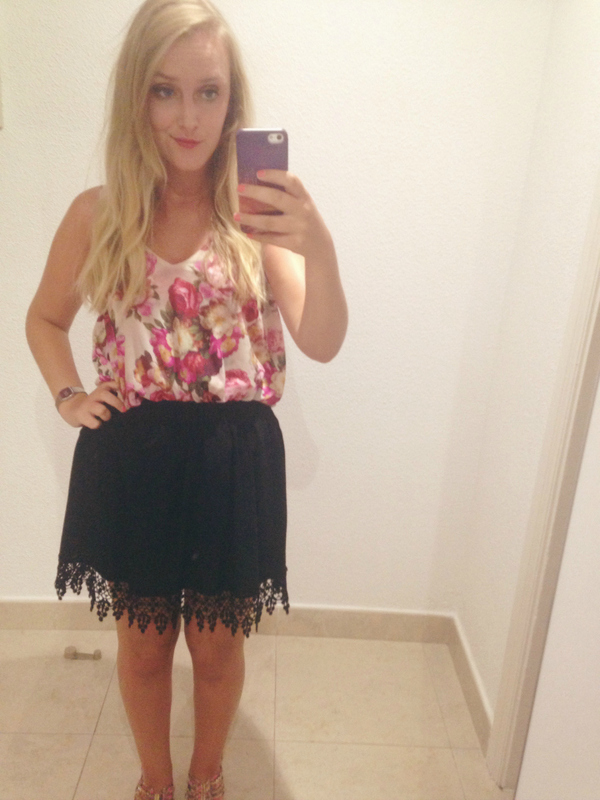 The whole outfit is from New Look (bought this year). I was going through a crochet-loving phase so I've got a lot of crochet in my wardrobe from this past summer. 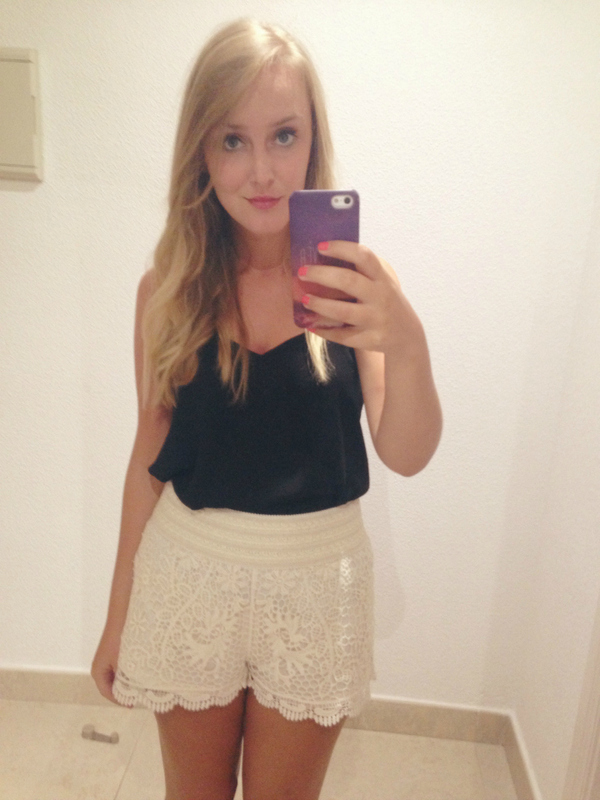 These shorts are also crochet, and I think they're probably my favourite purchase of the summer. They're from Topshop (obviously!) and they were pretty cheap by their standards. I always get compliments when I wear them. The top is one of the plain camis from Topshop. Their plain tshirts and basics are such good quality, and I'd definitely recommend them if you're looking for a simple, basic but long lasting top. I actually bought these shorts as an autumnal purchase but I think you can wear them all year round - with or without tights. I liked the scallop edge of these shorts; you always see tshirts with this effect so it's nice to change it up a bit with these shorts. I added a plain white top with it - all from Topshop. Red also shows off a tan, just like white. The top I'm wearing in this outfit is the same one as before, but this time I paired it with a yellow/mustard midi skirt. I bought the skirt last year in Topshop. I think I probably need to start shopping somewhere else! But anyway, I managed to make a massive hole in the skirt on this night but luckily I paid to get it sewn up and you can't even notice. The skirt lives on! 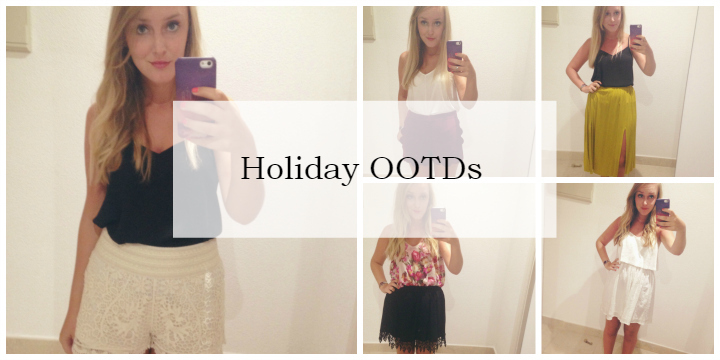 I hope you enjoyed seeing my outfits, even if there is a lot of Topshop!